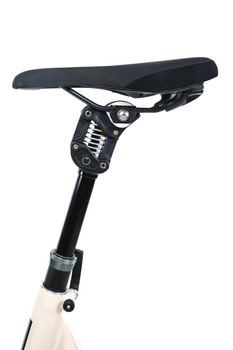 The D.2 ST-Ri dropper seatpost combines comfort and safety in a unique way. The proven by,schulz parallelogram suspension in combination with a remote controlled lowering of the seatpost allows a quick change between ergonomic seating comfort and a safe stand at the traffic light. It is designed for urban as well as sport off-road riding. 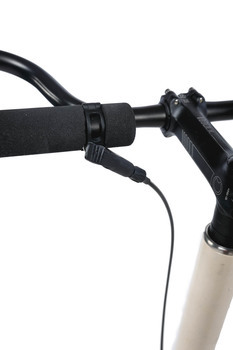 The lowering mechanism (gas pressure spring) is controlled by a handlebar-mounted lever. The cable can be routed inside or outside of the frame. Because of the high-quality bearings of the height adjustment (100 mm), the D.2 ST-Ri seatpost is low maintenance and has almost no bearing clearance. 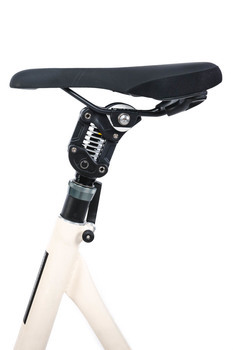 This safe and practical seatpost is designed with the urban cyclist in mind. A control lowers the saddle at traffic lights, for example, and returns it to the pre-set height when the rider sets off again. The spring-loading ensures comfort during the ride. All in all, we feel this is a safety feature that will encourage new riders to take up cycling.